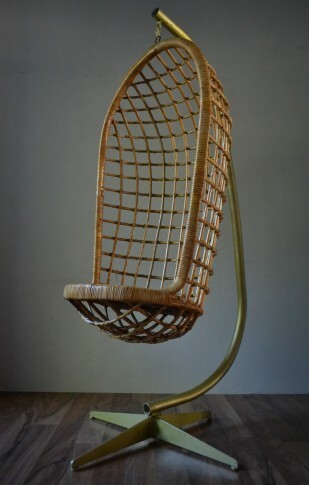 Original hanging rattan chair with metal frame. 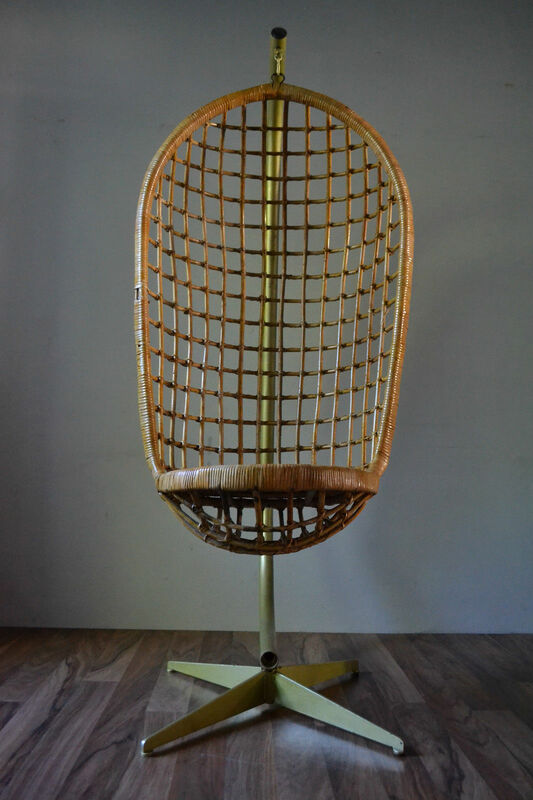 Produced by Rohe Noordwolde. 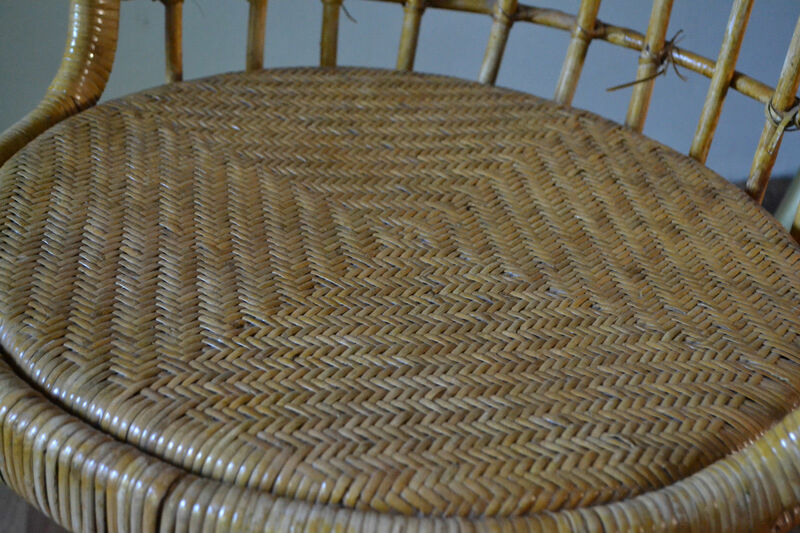 Rohe was a company that was based in the centre of the Dutch Bamboo & Cane industry area of Noordwolde. 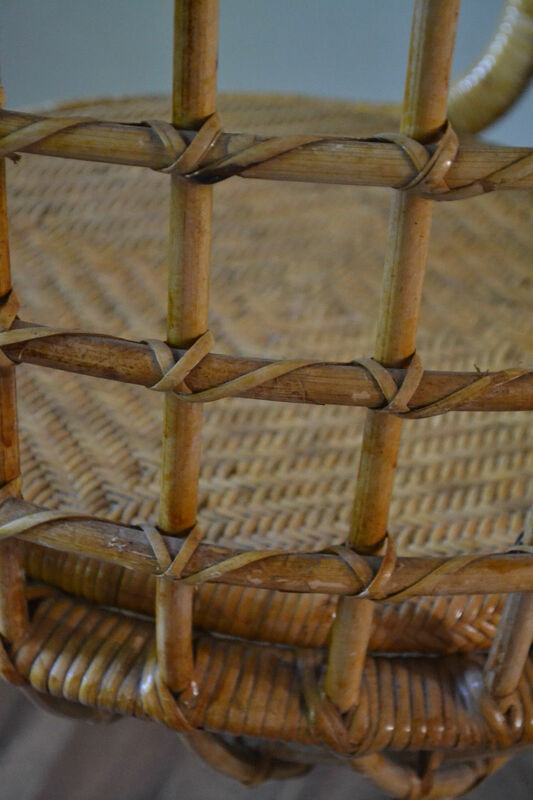 Skilled craftsman made the most beautiful furniture in Bamboo and Cane. 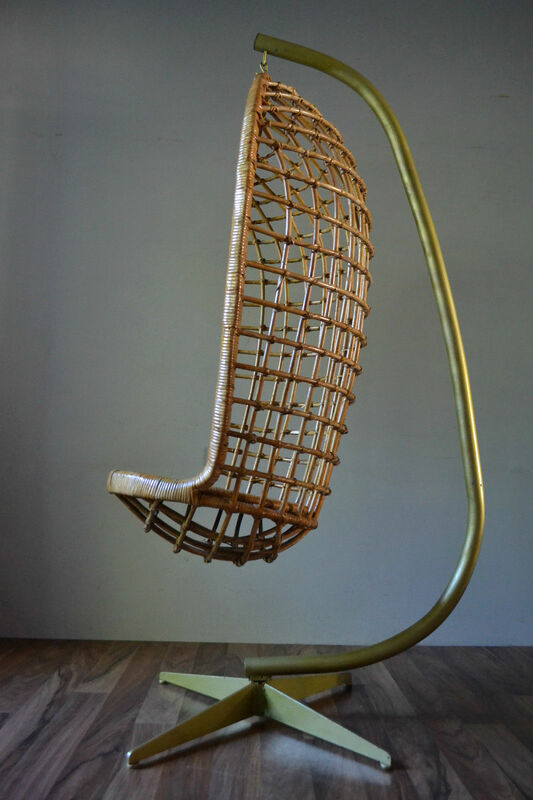 This hanging chair is a rare and not often seen model. A true icon of the 1960's! Good original vintage condition. 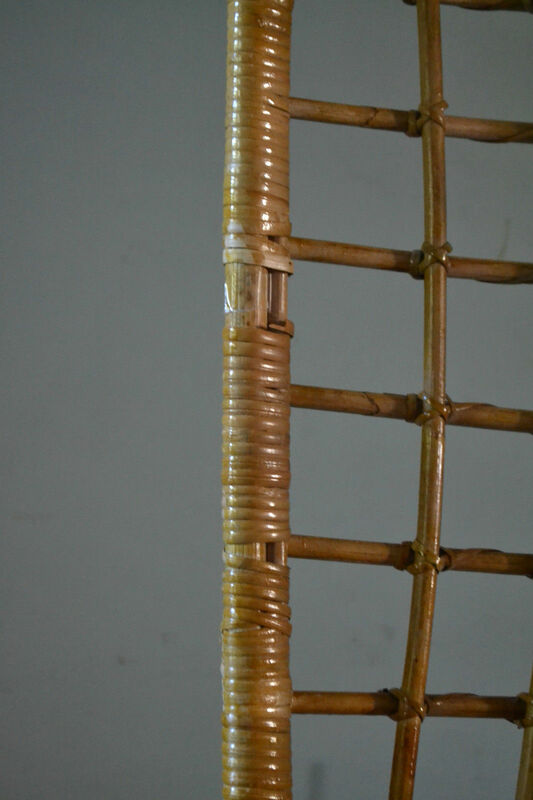 Please refer to photos for further indication of condition.